How does a CD get into the Target rack? 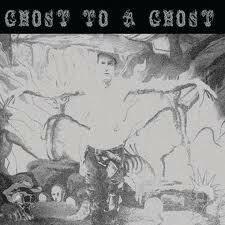 Recently I was at Target and I saw Hank 3 Ghost to Ghost in the rack. How did it get there? This is a an independent release in a major retailer. A few days later I saw it at Best Buy. This mystified me. I was so amazed it was sitting in the racks at Target that I had to buy it (the fact it was a double disc for $9.99 helped too). Hank 3 is Hank Williams the 3rd – grandson of the father of modern county music Hank Sr. Hank 3 stands closer to the innovative pedigree of his granddad than is pop leaning daddy. This is not traditional country or even pop country – at best it is punk country. The first CD is pretty classic cow-punk. Hank 3’s voice is like his grandpappy’s at points, like Dylan’s at other points, but always with an amphetamine edge. This is country on meth. I am a long-term fan of alt-country – but this is much edgier than typical alt-county. Hank 3 make Ryan Adams seem like James Taylor. CD 2 is much more atmospheric – almost a like a movie soundtrack. Although it has a few songs that could fit on CD 1. Overall if you are a fan of country, punk, rock and you like all of that edgy you will like this release. I like a bunch of “alterna-twang.” Will have to check this out.